Plastic coatings adapted to the different situations. PAINTS There are 4 products. 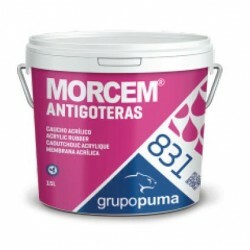 Plastic paint used as decorative and protective covering in all types of vertical and horizontal facing such as concrete, brick, plaster, fibre cement, etc. Price per 15L. Waterproof covering with high elasticity and flexibility. Suitable for avoiding water leakage on terraces, rooftops, roof tiles, expansion joints, downpipes, etc. 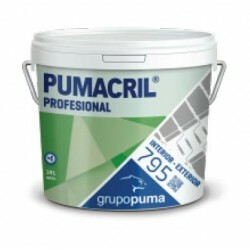 For repairing areas with existing cracks, or with a tendency to split. It provides continuous coverage capable of preventing water leakage. Colours White, Red, Terracotta. Price per 15L. Matt plastic coating best for interior and exterior decoration, with algicide and fungicide effect. Price per 15L. Covering and protective paint for vertical walls, highly breathable. 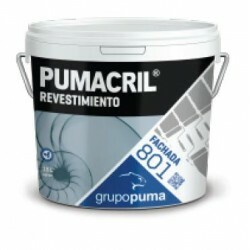 Particularly suitable for restoration of façades and other mineral surfaces. 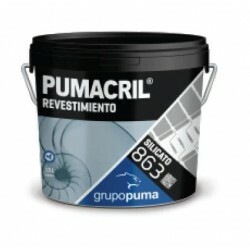 Provides a matt finish to painted surfaces. Price per 4L.